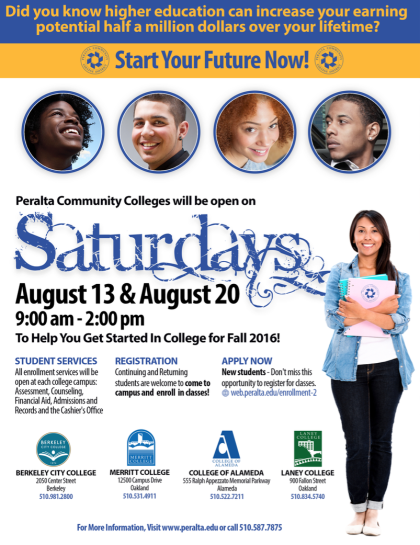 Come to the Peralta Colleges Saturday, August 20, 9am to 2pm to enroll in classes for this fall semester. We have everything you need: Student Services, Registration, Financial Aid and Counseling and Advising. For more information, please see this flier: College Saturdays.